Be both citizen and ambassador. Welcome. 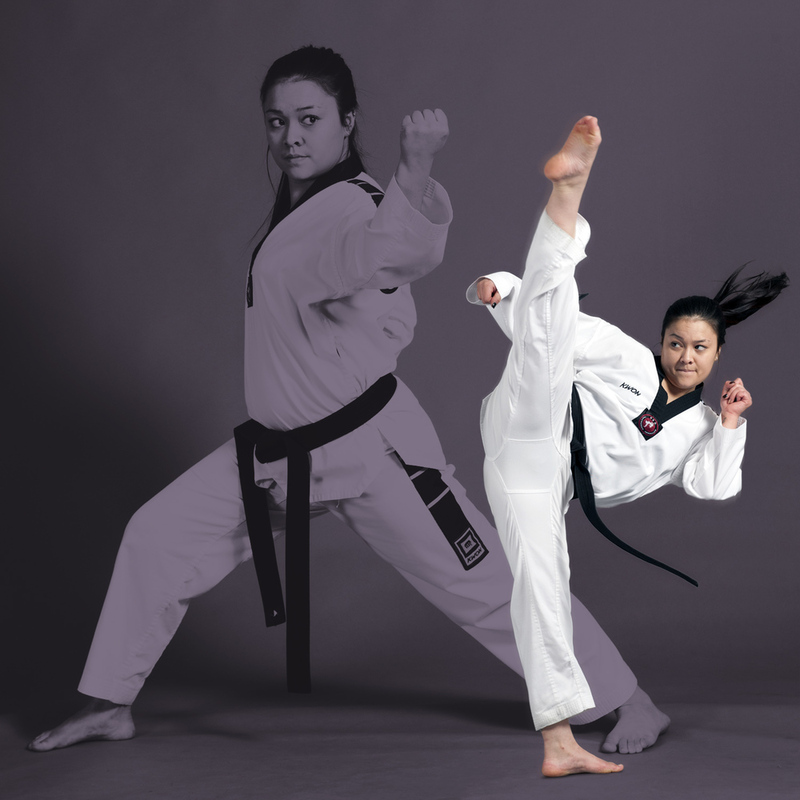 We proudly showcase our students throughout this site as a celebration of their continued dedication to mastering the martial arts. We hope you enjoy seeing their amazing talent as much as we delight in supporting their continued progress. Our students pride themselves on knowing that they've earned the right to be considered martial artists by aligning mind, body and spirit with discipline and proper training. Our proven system helps build confidence as students develop the core values, skills and knowledge that lead to proficient self-defense. Self-Defense – the vocabulary of techniques that a student will master in order to physically protect him/herself and others. Self-Discipline – understanding and respecting the responsibility that comes with mastering the art of Tae Kwon Do. Self-Confidence – the knowledge of tapping into the efficacy of the art when executed properly. Mastering martial arts is more than self-defense, it's a path to discovering the edges of your limits. Our primary focus at Chung’s Black Belt Academy is to foster the development of top quality people who strive to become true martial artists. This does not stop at just throwing the hardest punch or the fastest kick. Every student, regardless of age, learns important life skills that reveal who they are and what they're capable of. Our instructors pride themselves on holding true to tradition and attention to detail when it comes to proper technique. We believe that ethics play a crucial role in teaching the martial arts and have never compromised our standards in order to increase student enrollment, which can dilute the effectiveness of the program. David Ki Young Chung has trained in the martial arts since the age of 9. Quickly rising through the ranks, he became one of the youngest 4th degree Black Belts in the country. Master Chung was PKA Junior Midwest Champion and has been a Master Instructor for over 30 years. Mr. Chung takes great pride in his staff of Black Belts and their ongoing accomplishments. These home-grown instructors continue to faithfully pass on the skills they've acquired from Mr. Chung's instruction and the core values they've adopted along the way. A student of David K. Chung for nearly 30 years and one Mr. Chung’s first black Belts, Mr. Angle is currently the Deputy Chief of Police for the Waukesha Police Department and attributes his personal success to the influence Mr. Chung has had on his life. “I never would have had the confidence and skill to be a police officer without Mr. Chung in my life.” Mr. Angle’s experience as a Patrol Officer, Defensive Tactics Instructor, and member of his agency’s Tactical Unit has given him the opportunity to share with the students the practical application of the art of TKD. He has won over 11 grand championship trophies and was the All-Midwest TKD Grand Champion five times. He has said that his individual accomplishments pale in comparison to his success as a coach. Ryan Anderson has been with Master David Chung for over 13 years. Mr. Anderson is an Automotive Restoration Specialist for Street Works Hot Rods in Waukesha. He derives his work ethic and perfectionist attitude from the discipline that Master Chung instilled in him from a very young age. A quote that Mr. Anderson lives by comes from our beloved Vince Lombardi, “The difference between a successful person and others is not a lack of strength, not a lack of knowledge, but rather a lack of will.” Due to this attitude; he has won six Grand Champion trophies, a silver medal in the 2009 AAU National Championship, and a gold medal in the 2010 AAU National Championship. One word that would perfectly describe Mr. Anderson in class is energetic. He comes out of the locker room everyday ready and roaring to teach. He in turn uses this enthusiasm to drive the students to practice to their full potential. Another notable quality that Mr. Anderson has is his refusal to allow students to quit on themselves. With this attitude, he tries to bring out every students’ inner martial artist. Lastly, He drives every student to not to be better than their peers, but to be better than who they were yesterday. Mr. Olson believes that the Chung’s BBA program will test ALL areas of an individual, helping to shape them into the person they are meant to be.